Life with Lin-chan: I love Peanuts! You know, I used to hate peanuts. I really did. I would pick them out of anything I had to eat, and wouldn't touch them. But now I love them. I can eat them all the time. Yes. A post about peanuts. 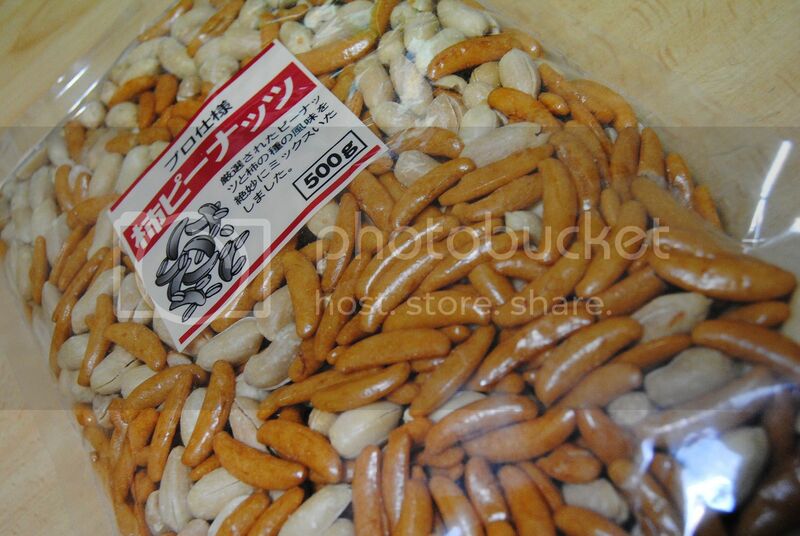 I found myself in love with the Japanese kind of peanuts, mixed with some type of rice made cracker. They are called Kaki peanuts. Kaki are small crescent-shaped fragments of senbei (soy flavored rice crisps), and peanuts mixed together to create the perfect mix for when you are drinking. Or just need a snack. What kind of peanuts do you like? Salted? Chocolate covered? Almonds, walnuts, cashews....? Yumm I want to eat them now!